Dmitry Chudovsky is CMO at Zorka.Mobi, a mobile focused marketing agency. Zorka provides a number of solutions to marketers, including campaign management, CPI and CPA user aquisition, App Store optimisation and video advertising. At Pocket Gamer Connects Helsinki on September 11th to 12th he'll be hosting a panel about campaign management, providing advice and insight on how it works. Chudovsky's panel will highlight the importance of proper campaign management when working with influencers. Without a plan of attack, campaigns can quite easily fall apart. Zorka is armed to the teeth with advice and guidance on how to plan, execute and monitor an influencer campaign from start to finish, to ensure it's as successful as it can be. Click here to get more info about the show and to buy your tickets. InfluencerUpdate.biz: What does your role at the company entail? 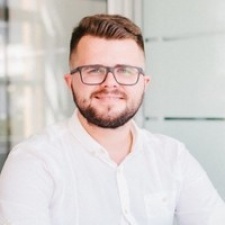 Dmitry Chudovsky: I'm CMO at Zorka and I'm responsible for the effective execution of our marketing strategy, increasing the brand recognition of Zorka.Mobi worldwide as well as for the happiness of our clients. What do you think have been the most exciting developments in influencer marketing since the last Pocket Gamer Connects Helsinki? First of all I would like to underline a fact of the rise and most likely the fall of Vero. It could have become as some were calling it Instagram killer but unfortunately (or luckily) it hadn’t. Besides, I cannot but share the recent news about our in-house influencer marketing platform. We’ve finally made it available for our clients (now both self and full service is available) so feel free to schedule a meeting to find out more about it. What are your thoughts on the way the industry has grown in the last 12 months? Today, hardly anyone can ignore this rapidly growing market of influencer marketing. This source allocates more and more marketing and promotion budgets. The competition gets tougher too, due to a flurry of new influencers and influencer marketing agencies. Driven by this competition, agencies often try to "tie" influencers by offering exclusive partnership terms. As for advertising platforms, the major trend is an active promotion through Instagram influencers. All of this led to higher advertisers’ expenses over the last 12 months. What do you think the next 12 months in influencer marketing are going to look like? Today, almost all routines tend to be replaced by technologies. There are some tech platforms already offering automated social influencer deals, but they are not efficient. So, influencer marketing still has enough manual work to do. One of the main market challenges is how to distribute roles in managing influencer marketing campaigns in the world of big data and AI and which level of engagement into this process will be the best option for customers. Beyond that, with higher market competition and increasing number of ads, just having a willingness and a camera is not enough to be a good influencer. People demand creatives. And this is what will define the quality of advertising in the near future. Which part of Pocket Gamer Connects Helsinki are you most looking forward to and why? I’m looking forward to meeting my colleagues and friends to discuss the latest insights and trends in influencer marketing and user acquisition. As a crypto fan I'm also going to visit the blockchain and ICO tracks to see what's new in the field. Next week, the whole mobile gaming industry is set to descend on Helsinki for Pocket Gamer Connects. The event, which runs from September 11th to 12th, is packed full of talks, tracks, networking opportunities, and more. You can read about the full conference schedule here. There are still tickets available for the show, and if you click this link right here you'll get all the information you need on how to buy them, and what's going to be happening in Helsinki over the two days.